GUCCI lends a chic update to the basic tee with a wide logo printing on the front screen and web stripe detail. Each piece of the collection is limited, so take advantage of this unique opportunity to take possession of some of the most coveted collections of designers. 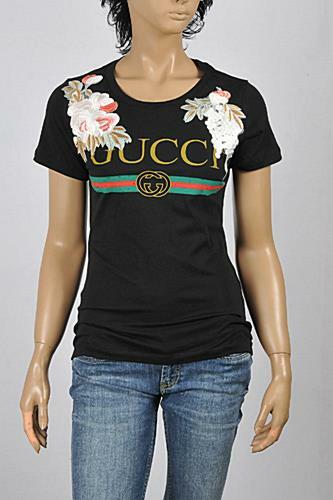 This GUCCI T-shirt is made in Italy of 100% cotton in black color.